Paul Roberts Paul lives just outside the Bridgend boundary in the village of Colwinston and is currently the Chief Executive of Newydd Housing Association. As a volunteer, he has been involved with a number of voluntary organisations over the years as well as helping to run his local community cinema. Peter Lees Peter Lees is a Bridgend resident and active volunteer at Bryngarw Country Park. In his professional life he was a senior HR manager for most of his career before becoming an Operations Manager at Companies House. Now in retirement Peter enjoys the theatre, gardening, travelling and golf. Will Campion Will is a qualified engineer and accredited business consultant and in his spare time enjoys running and learning Welsh. He lives in Aberkenfig with his young family and makes regular use of our cultural facilities, particularly Aberkenfig library and Bryngarw Country Park. Margaret Griffiths Margaret lives in Kenfig Hill and spent most of her working life in academic and public libraries before retiring in 2013 from her role as the Principal Librarian for Bridgend. She is an active volunteer in her local community and in her spare time enjoys singing with a number of local choirs. Cllr. John McCarthy John is an elected member for both Bridgend County Borough Council and Pencoed Town Council. He is an active school governor, trustee of the Pencoed Miner’s Welfare Hall, director of Bridgend Lifesavers Credit Union and committed member of St. David’s Church. In his professional life, John spent 38 years working in the power industry. Cllr. Jeff Tildesley MBE Jeff is an elected member for Bridgend County Borough Council representing Cornelly and has recently celebrated his 50th anniversary as a councillor. He is involved with a number of charitable trusts in the area and in his professional life, Jeff was in Industrial Relations for an international company. He was awarded the MBE in 2012 for services to local government and the community of Bridgend.  Alan Morgan (Chair) Alan is the Chair of Awen Cultural Trust. Currently the Managing Director of Hafod Housing association, Alan has previously worked for both Welsh and local government. In his own time he is involved with a number of third sector organisations throughout the area as well as being an active school governor. Leighton Thomas Leighton spent his professional life working in IT for a number of large companies throughout South Wales. He is currently a school governor and previously served as a Trustee of Maesteg Town Hall Ltd. In his spare time he enjoys spending time with his family and is an avid football, bowling and horseracing fan. Beth Hopkins Since completing a degree in Wildlife Biology, she has worked and volunteered for a number of conservation organisations including Gwent Wildlife Trust, Swansea Ecology Research Team, the Wildlife Trust and now Bryngarw Country Park. Having a passion for the natural world and travelling, Beth has been on conservation-related trips to Africa and South America and, in her spare time, is an amateur wildlife artist. Richard Hughes – Chief Executive Richard began his career in television production and touring theatre before a local government career in leisure, arts, culture and tourism spanning 16 years. Richard took up the role of Chief Executive in October 2015. He oversees the strategic management of the trust and responsibilities for its 140 staff across 18 different sites. Richard is married and has a son and daughter. Ceri Evans – Director of Business Development Ceri has worked in theatre management, marketing and development for the past 20 years. Her current role includes oversight of theatres, Bryngarw House & Country Park and our work-based training schemes for adults with learning disabilities (Bleaf & WoodB). Ceri also has cross-cutting responsibilities for marketing, fundraising and business development. Ceri is married and has two sons. Richard Bellinger – Director of Operations Richard has spent much of his career in the library service and was the Chief Librarian for Bridgend County Borough Council before taking up his current position. His role includes oversight of Libraries and Community Centres as well as cross-cutting responsibilities for health & safety, facilities management, transport etc. Richard is married and has a baby daughter.